We are honored to have helped bring Uniquely Cats Veterinary Clinic's vision to life! My 'Extreme Green Building Home Course' rated in AIA's Top Ten! How Do You Work with a Builder? The Family Learning Center is one of Boulder’s most valuable and least known service organizations. 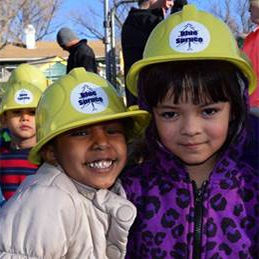 Founded by Brenda Lyle 34 years ago, FLC has provided 14,000 of Boulder County’s low-income, culturally diverse children and families with lifelong learning tools for self-sufficiency and success. We teamed up with Blue Spruce Construction to provide probono services for FLC’s new Health and Wellness Education Center. This essential space will enable them to provide expanded early childhood physical fitness classrooms, space for food preservation (canning food from their community garden), distributing donated organic food, clothing, and for a variety of wellness education programs. We are in the middle of construction and FLC is fundraising to complete the interiors. Please consider helping this extremely worthwhile group today with a tax-deducible contribution. Resilient home design has always been important, yet more frequent and severe weather events give homeowners a reason to strengthen their defenses at home. To find out more, look into this article from Time to Build featuring tips from Scott Rodwin about what you can do to protect your own home or business. Rodwin Architecture's Farmhouse is now featured in the LEED Directory. Certified LEED Platinum and Rodwin's first proven regenerative home. Check out the link below for more details! Anything that can be reused is worth knowing about in our eyes. Reclaimed, Recycled, & Salvaged Wood is a great article by Joyanna Laughlin that breaks down the ins and outs of wood supply and how to best re-use one of our planet's most sustainable materials. Here is an article featuring our Principal, Scott, as he discusses green building. Material selections and initial steps of design are just as important as dealing with site waste disposal months later. Take a look at these 11 steps of utilizing green materials and practices that we think are worth prioritizing. 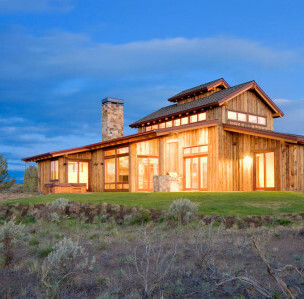 Where the Land Meets the Sky - The Gunung Mas Ranch Home creates roots for a family in Boulder. Japango's intimate space has always been one of the stellar Japanese restaurant highlights. So what did they do this year? They expanded that great space to create a spectacular bar area to go along with what was already the best setting for sushi in the county. And they needed that bar because Japango has the area's largest selection of fine sake. If you haven't been in since the place grew, take it from us you need to see it. It's fantastic.